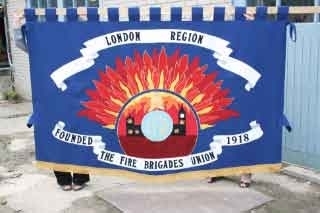 At a meeting today, the FBU’s executive council (EC) voted to cancel tomorrow night’s planned strike of all firefighters in England and Wales. We can confirm that the trade dispute on pensions remains live, and no offer has been received from government that the EC considers is worthy of recommendation to FBU members. Given this, it is inevitable that the EC’s decision will lead to some disquiet and a great many questions from members. The London regional committee will meet on Monday morning to discuss its response to this unexpected development. Further information will be published in due course. For the record, we can confirm that the executive council member for London voted against the proposal to cancel the strike. 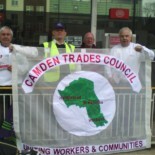 This entry was posted on October 18, 2013 by CAMDEN TRADES COUNCIL.